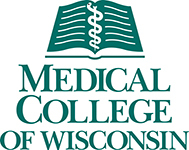 The Medical College of Wisconsin has a tradition of excellence in research. In keeping with this tradition and to address the need for expanding medical knowledge, the Medical College of Wisconsin has identified the training of new clinical investigators as a priority. The Clinical Research Scholars Program was developed to address this goal. The mission of the Clinical and Translational Science Institute’s Clinical Research Scholars Program is to provide didactic training and individual mentoring in career development and clinical research to junior faculty who are committed to pursuing careers in academic medicine as independently funded, clinical and translational investigators. The program faculty is dedicated to ensuring the success of its Clinical Research Scholars by providing protected research time, a supportive research environment, research-related resources, individual mentoring and skills in clinical research methodology. The Clinical Research Scholars Program is made up of a diverse group of researchers, educators, physicians and junior faculty. All of these individuals work together to promote an environment which facilitates research and learning while fostering collaborative investigation. The Program is made up of the primary faculty, the selection committee, and the clinical scholars. Provide Scholars with an enriched academic environment that will enhance the development of their clinical research. Provide instruction to Clinical Research Scholars in practical research skills. Assist Scholars in identifying and accessing research-related resources. Ensure the development of a research proposal which is submitted to an appropriate funding agency. Scholars are expected to participate fully in the program by attending program sessions, contributing to discussions, and completing assignments. Scholars will be asked to give presentations and regular updates on their research projects. They will also be asked to provide appropriate suggestions, constructive criticism, and feedback to other Scholars. Scholars will be asked to meet regularly with their research mentors or advisors. All junior faculty who are interested in a clinical/translational research career are encouraged to apply. Applicants must be U.S. Citizens or U.S. Permanent Residents to be eligible. Selection of a Clinical Research Scholar is based on the Selection Committee’s review of the candidate’s materials. They may also elect to interview the candidate. A letter of nomination from the departmental chair. This letter must also provide assurances that the candidate will have a minimum of 20% protected time for clinical research activities, although 40% protected time is recommended. A letter of support from a mentor or a senior colleague who agrees to provide guidance on the candidate’s research project. A current curriculum vitae in the MCW format or equivalent format. A completed Clinical Research Scholars Application. A brief (1-2 page) description of the clinical research project that the candidate will develop and conduct. Attend twice monthly training seminars. Demonstrate research-related core competencies in research methods. Attend and participate in the Research Methods Workshop course (if not already completed). This course is offered during the Fall Semester of the academic school year. Complete the MCW Human Research Protection Certification Program (CITI or equivalent) if not already completed. Complete additional individualized curriculum components. Meet regularly with a program advisor and with research mentors. Develop a clinical research proposal and submit the proposal to a funding agency by the end of the 2-year curriculum. Participate/present at the CTSI’s Translational Research seminars. Submit a protocol to the appropriate CTSI Translational Research Unit (TRU). Attend research related conferences or training courses. Present work-in-progress in an established research forum or seminar series. Develop basic research skills by taking appropriate academic course work through the MCW Graduate School of Biomedical Sciences. Junior faculty, who are committed to academic careers and to clinical research, are encouraged to apply. Decisions to accept candidates are made on the basis of the candidate’s interest in clinical research, the candidate’s statement of commitment to participating in the program, and assurances that the candidate will have protected time to engage in research. The role of the Advisory and Selection Committee of the Clinical Research Scholars Program is to provide oversight to the program by advising on the selection of scholars, providing oversight for the curriculum, evaluating the program, and providing guidance on the integration of the Program with Medical College of Wisconsin Centers and resources. The Clinical Research Scholars Program is a didactic program of the theory and methods of clinical research integrated with instruction in practical research skills. At the culmination of the program, scholars will have a wide range of theoretical, methodological, and practical experiences in the conduct of clinical research. The Clinical Research Scholars Program uses a guided apprenticeship model to help Clinical Research Scholars develop research skills. Twice monthly seminars held over a two-year period allow the Scholars to use their own research projects, and those of the other Scholars, as vehicles for learning. Experienced clinical investigators serve as facilitators for the seminars. Meeting together in small groups to discuss these research projects allows the Scholars to serve as colleagues and advisors for one another. Outside of seminars, each Scholar works closely with an experienced mentor who provides individualized, project specific guidance. The progress of each Scholar is carefully monitored, and the program is continuously evaluated. 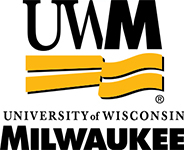 Additionally, scholars are encouraged to participate in the Clinical and Translational Science Program whereby they can earn a Master of Science from the Medical College of Wisconsin. The program faculty is dedicated to ensuring the success of its Clinical Research Scholars by providing protected research time, a supportive research environment, research-related resources, individual mentoring and skills in clinical research methodology. CTSI Announces the 2019 RFA for the Clinical Research Scholars Program for junior faculty committed to pursuing careers in academic medicine as independently funded, clinical and translational investigators. The Clinical Research Scholars Program is a major initiative in the Clinical and Translational Science Institute (CTSI) to assist junior faculty in developing their research careers. With over ten years of experience in training junior faculty in critical competencies for successful research careers, our graduates have achieved external funding, established strong publication records and received national recognition. Our program emphasizes the following skills: grantsmanship, ethical conduct in research, research study design, grant management, research career development, and effective scientific communication via abstracts, manuscripts, and presentations. Attend seminars twice monthly on the 2nd and 4th Tuesday. Attendance is required. All junior faculty at CTSI partnering institutions, who are seeking to in pursue careers in clinical/translational research, are encouraged to apply. Applicants must be U.S. Citizens or Permanent U.S. Residents to be eligible. Candidates must have a letter of support from their departmental chair guaranteeing a minimum of 20% (40% is recommended) protected time for research activities. Each candidate must have a research mentor and a clinical/translational research project to be developed into a grant proposal during the program. After receipt of all of the application materials, the CRSP Selection Committee will review the candidate’s material. Incomplete applications will not be reviewed. Acceptance into the program is made on a competitive basis. Decisions to accept candidates are made on the basis of the candidate’s interest and commitment to a research career and assurances that the candidate will have sufficient protected time to engage in research-related activities. Please complete the entire application. Incomplete applications will not be reviewed. Please complete all of the items listed. Be sure to list all of the individuals who will be writing a letter of support, including your department chair and primary mentor. Note that the letter of support from your department chair must explicitly state that you will have at least 20% protected time for research activities. Please limit your personal statement and commitment plan to a maximum of two pages. Be sure to include your background in clinical/ translational research (education, previous roles in grants, etc.) and what impact this has had on your career. Also, please describe your future career goals and how your participation in the CRSP will help you accomplish those goals. List all additional advisors / mentors who will not be submitting a letter of support but will have a significant role in guiding your research project and career. List any additional resources that you have or need, but are not listed. Copy of Applicant’s Publications (up to three in a single document, including unfunded submissions) – Candidate’s previous work related to the research project or a key article in the field. This is the same mentor that is providing the letter of support in Part I of this application. Your mentor also needs to provide a current NIH-style biosketch. Applications are due by May 3, 2019. Program begins September 10, 2019. We anticipate that decisions will be made by June 1, 2019. All applications must be received electronically through linked forms. If you have any additional questions, please feel free to contact us at the phone number or email below. Kirsten Beyer, PhD, MPH, MS is an Assistant Professor in the Institute for Health and Society at the Medical College of Wisconsin. Dr. Beyer directs MCW’s Epidemiology Data Resource Center and holds an adjunct appointment in Geography at the University of Wisconsin-Milwaukee. Dr. Beyer earned her undergraduate degree in International Studies from Knox College, her MPH in Global Health and PhD in Geography from the University of Iowa and her MS in Clinical and Translational Science from the Medical College of Wisconsin. Dr. Beyer’s work focuses on identifying spatial patterns of disease and injury and understanding the complex human-environment processes that create the patterns. She has a strong interest in community engagement in research. Jonathan Bock, MD is an Assistant Professor in the Department of Otolaryngology and Communication Sciences at the Medical College of Wisconsin. Dr. Bock earned his undergraduate degree in Molecular Biology from Yale University and received his medical degree from the Medical College of Wisconsin. His career includes being a Clinical Instructor and Fellow in Laryngology and Care of the Professional Voice at Vanderbilt University Medical Center in Nashville, TN after his residency in the Department of Otolaryngology – Head and Neck Surgery at the University of Iowa Hospitals and Clinics. Dr. Bock has significant expertise in molecular oncology, and has several publications and three patents using similar assays to study head and neck cancers. William H. Bradley, MD is an Assistant Professor at the Medical College of Wisconsin in the Department of Obstetrics and Gynecology, Division of Gynecologic Oncology. Dr. Bradley earned his undergraduate degree in Philosophy at Macalester College in St. Paul, Minnesota. He received his medical degree from the University of Minnesota. He went on to do a residency in Obstetrics and Gynecology at the University of Minnesota, and then a fellowship in gynecologic oncology at Mount Sinai Medical Center in New York City. His research interests include the genetics of ovarian cancer, and he is currently engaged in a research project using individual patient tumor profiles to aid in selecting chemotherapeutic treatments. Yvonne Chiu, MD is an Assistant Professor in the Departments of Dermatology and Pediatrics at the Medical College of Wisconsin. Dr. Chiu received her undergraduate degree from the University of California, Berkeley with a major in Molecular and Cell Biology (Biochemistry and Molecular Biology). She earned her medical degree at the Keck School of Medicine of the University of Southern California. Dr. Chiu then completed a pediatrics internship, dermatology residency, and pediatric dermatology fellowship at the Medical College of Wisconsin. 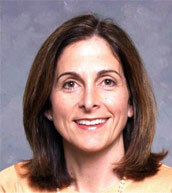 Her research interests include morphea and the cutaneous manifestations of rheumatologic disease. John Densmore, MD is an Assistant Professor in the Department of Surgery – Division of Pediatric Surgery at the Medical College of Wisconsin. Dr. Densmore earned his undergraduate degree in Chemistry from Carleton College and received his medical degree from the University of Illinois College of Medicine. He completed his fellowship in Pediatric Surgery at Children’s Hospital of Wisconsin following his residency in General Surgery at the Medical College of Wisconsin. Dr. Densmore has a longstanding interest in medical basic science that began while developing an endoscopic laser system for surveillance of Barrett’s esophagus prior to medical school. Matthew Durand, PhD is a Postdoctoral Fellow in the Department of Medicine at the Medical College of Wisconsin. Dr. Durand earned his undergraduate degree in Biology from Lawrence University. He received his PhD from the Department of Physiology at the Medical College of Wisconsin. Dr. Durand’s main research interests include the study of acute stress on human microvascular function, as well as the study of vascular adaptations to exercise in trained athletes. Veronica Flood, MD, is an Assistant Professor in the Department of Pediatrics, Division of Hematology/Oncology. She received her undergraduate degree in Biological Anthropology from Harvard College and her medical degree from Tufts University School of Medicine. She completed a residency in pediatrics at Phoenix Children’s Hospital and a fellowship in pediatric hematology/oncology prior to joining the Medical College of Wisconsin in 2006. Her main focus is on von Willebrand disease, and her research involves the molecular biology of von Willebrand factor as well as improving the laboratory diagnosis of von Willebrand disease. Amy Harley, MPH, RD is an Assistant Professor at the Joseph J. Zilber School of Public Health at the University of Wisconsin-Milwaukee and a Scientist at the Center for Urban Population Health. She is also a Registered Dietitian with a Master’s of Public Health in Community Health Education from Indiana University. Dr. Harley received her PhD from The Ohio State University of Public Health. She completed her postdoctoral fellowship in the Cancer Prevention and Control education program at the Harvard School of Public Health. Dr. Harley’s current research is focused on reducing racial/ethnic and socioeconomic disparities in chronic disease prevalence and outcomes through long-term participation in healthy lifestyle behaviors including physical activity and healthy eating. Allison Hyngstrom, PhD is an Assistant Professor in the Department of Physical Therapy at Marquette University. 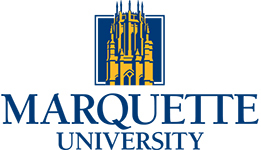 Dr. Hyngstrom earned her undergraduate degrees from Augustana College in Rock Island, IL and Washing University in St. Louis, MO. She received her PhD in Neuroscience from Northwestern University and her Post Doctoral Training in Biomedical Engineering at Marquette University. Dr. Hyngstrom has specialized knowledge in the effects of neuromodulators and motor systems. Her primary research interest is neuromuscular fatigue post stroke. Sheri Johnson, PhD is an Assistant Professor in the Department of Pediatrics at the Medical College of Wisconsin. Dr. Johnson earned her undergraduate degree in Psychology at Brown University. She earned a Master’s and PhD in Clinical Psychology at Boston University. She completed her internship at Children’s Hospital of Boston. She has served in clinical and administrative leadership roles over the course of her career, most recently serving as the Administrator and State Health Officer for the Wisconsin Division of Public Health, prior to her appointment at MCW. Dr. Johnson conducts community engaged research focused on improving childrens health. Jennifer M. Knight, MD is an Assistant Professor in the Department of Psychiatry and Behavioral Medicine, Division of Psychosomatic Medicine, at the Medical College of Wisconsin. Dr. Knight completed her undergraduate training at the University of Wisconsin-Madison and her medical training at the Medical College of Wisconsin. She completed her residency training in a combined Internal Medicine and Psychiatry program at Rush University in Chicago, and is double board certified in both specialties. She also completed a post-doctoral research fellowship in psychoneuroimmunology at the University of Rochester Medical Center. Dr. Knight’s research interests involve investigating the physiologic and immunologic effects that account for the relationship between psychosocial factors and clinical outcomes in hematopoietic stem cell transplant recipients. Joanne Lagatta, MD, is an Assistant Professor in the Department of Pediatrics/Neonatology at the Medical College of Wisconsin. Dr. Lagatta earned her undergraduate degree in nutrition at the University of Wisconsin – Madison and her medical degree at the University of Wisconsin Medical School. She completed her pediatrics residency and neonatal-perinatal medicine fellowship at the University of Chicago. In addition, she completed a master’s degree in epidemiology and health services research at the University of Chicago. Dr. Lagatta’s main research interest involves predicting outcomes and resource utilization for high-risk infants discharged from the neonatal intensive care unit. Kathy Mussatto, PhD, RN is a nurse scientist in the Herma Heart Center at Children’s Hospital of Wisconsin and Assistant Clinical Professor of Surgery – Cardiothoracic at the Medical College of Wisconsin. Dr. Mussatto earned her bachelor of science in nursing from Northern Michigan University and her PhD in nursing from the University of Wisconsin – Milwaukee. Her research interests are focused on the psychosocial implications of pediatric heart disease for children and their families. She has published findings on quality of life, neurodevelopment, and family adaptation. Dr. Mussatto has also made significant contributions to interdisciplinary research teams, both locally and nationally, that study clinical outcomes for children with congenital heart disease. Mahsa Ranji, PhD is an Assistant Professor in the Department of Engineering at the University of Wisconsin-Milwaukee. Dr. Ranji earned her undergraduate degree in Electrical Engineering from Sharif University of Technology in Tehran, Iran. She earned her master’s degree in Electrical Engineering from Khaje Nasir Toosi University of Technology in Tehran, Iran. She received her PhD in Electrical Engineering from the University of Pennsylvania and her Post Doctoral Training in Bioengineering at Sanford-Burnham Institute for Medical Research in San Diego, CA. Dr. Ranji’s main research interest is in developing optical instruments of fluorescence spectroscopy and imaging to study metabolic status of tissue in normal and stressed conditions. Venkatesh Sampath, MD, MRCPCh is an Assistant Professor of Pediatrics, Division of Neonatology at the Medical College of Wisconsin. Dr. Sampath received his medical degree from Kilpauk Medical College in Chennai, India and his postgraduate degree in Pediatrics from Royal College of Physicians and Child Health in London, UK. He completed his fellowship in Neonatology at the Cincinnati Children’s Hospital Medical Center in Ohio and residency in Pediatrics at the Cleveland Clinic Foundation in Ohio. Dr. Sampath’s long term career goal is to establish an integrated, multidisciplinary research program to investigate the role of gene-environment interactions in the pathogenesis of diseases in newborn infants. Jennifer Strande, MD, PhD is a Assistant Professor of Cardiovascular Medicine at the Medical College of Wisconsin. Dr. Strande earned her undergraduate degree in Cell and Structural Biology from the University of Illinois. She received her PhD in Molecular Biology and her medical degree from Loyola University Chicago. She completed her Post-Doctoral Training in Cell Biology at Northwestern University and her Residency in Internal Medicine and Fellowship in Cardiovascular Medicine at the Medical College of Wisconsin. Dr. Strande’s research interests include unraveling the molecular dysfunction involved in the pathogenesis of cardiomyopathies. Monica Thakar, MD is an Assistant Professor of Pediatrics in the Division of Blood and Marrow Transplantation at the Medical College of Wisconsin. Dr. Thakar received her undergraduate degree from the University of South Carolina. She earned her MD from the Medical University of South Carolina. She completed her Pediatrics Residency at the University of Chicago and then studied Pediatric Hematology/Oncology/Bone Marrow Transplantation (BMT) at the University of Washington and Fred Hutchinson Cancer Research Center, where she completed her Fellowship and continued her BMT research as a junior faculty member. Dr. Thakar’s research interests include alternative donor transplantation, reduced-intensity conditioning regimens and adoptive immunotherapy. 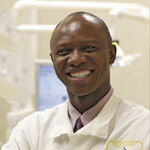 Danny Thomas, MD, MPH, is an Assistant Pofessor in the Department of Pediatrics at the Medical College of Wisconsin. Dr Thomas earned his undergraduate degree in Psychology at the University of Illinois and attended medical school at Northwestern University where he earned his MD and MPH. He completed his Pediatric residency and Pediatric Emergency Medicine fellowship at the Children’s Hospital of Pittsburgh. His research interests include pediatric concussion with a focus on both the pathophysiology of injury and the clinical identification and management of concussion in the emergency department setting. Amy Zosel, MD is an Assistant Professor in the Department of Emergency Medicine at the Medical College of Wisconsin. She earned her Doctor of Medicine from the Medical College of Wisconsin and completed her residency in Emergency Medicine at Northwestern University Medical School in Chicago. Dr. Zosel’s research interests include developing interventions to decrease the burden of self-injury and suicide in Kenosha County. The Clinical Research Scholars Program at MCW provided me the opportunity to realize my full potential as a researcher within a supportive environment. I am delighted to say that even after the program, I still continue to collaborate with colleagues at MCW in my publications and grants. The Clinical Research Scholars program was invaluable in helping to advance my career in research at MCW. Having a group of peers available to help review manuscripts and grants and senior investigators to provide advice and expertise was so important. In addition, I had close contact with the statistical team on my research projects and they really helped keep me on track with my work. We continue to work together even now.